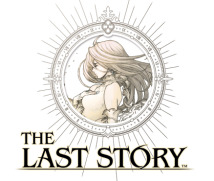 Sakaguchi-san, how do you feel about the way The Last Story turned out, and about working alongside Nintendo in general? Just like Taka-chan, I was asked to make a game along romanticist lines. For me, going along with this theme didn’t pose a problem, as I had always intended to include that all-important drama that takes place between a man and a woman. Actually, as the project progressed, the way I conceived of this theme changed until it became a game that was more about companionship than anything else. But the initial story and theme you came up with never fundamentally altered. I get the sense that in the process of making the game, more and more elements were added that enhanced the tempo, realism and responsiveness. Yes, that’s right. I really feel we were lucky in the sense that some of those ideas were like seeds that sprouted unexpectedly - then we watered them, and they grew into a forest. As for working alongside Nintendo, when I worked on FFIII, there was an internal software evaluation system in place at Nintendo, though it wasn’t known as Mario Club back then. Yes, that’s right. There was. I remember that someone wrote on their report: ‘I’d like to work on something like this someday’. To tell you the truth, I’ve never actually told anyone about this before. Back then, the Mario Club structure didn’t exist, so staff at the company would write down their assessment of games. This means that members of dev teams would also have been giving their feedback, which explains you getting a response like that. Ah, I see. So members of dev teams were also taking part. That actually left quite an impression on me, and since then I’ve had the sense that staff at Nintendo really understand where I’m coming from. That gave me a degree of confidence, in an odd sort of way. (laughs) It was a pleasant surprise, I must say. I spent four days working together with Mario Club this time round because I used to have that experience. 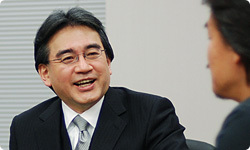 Well, it was a really nice surprise for us at Nintendo when you spent four days with Mario Club, really taking on board their opinions and ideas. That gave an opportunity for significant input on our side. My main purpose was indeed to get that input, but I did have another objective. I wanted to leave something with Mario Club... I wanted to mark it with my scent, so it would still be there when it became time for the fine-tuning at the end of the project. I hoped that having my scent hanging round the place would create that ‘empathy’ we discussed. To ensure we worked together well, with a shared goal, I took the opportunity to mark the place with my scent. (laughs) I think that helped us work together really well right to the end. So that’s why members of the team at Mario Club cried when the nine month debug phase ended. I’m sure it’s because they felt like members of the dev team too. 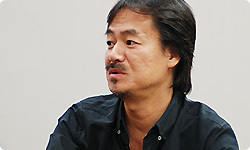 Sakaguchi-san has a real talent for creating a certain atmosphere. I think that’s something I’ve never really been able to do, though I’d really love to be able to someday. Well, yes. It’s that rather odd self-confidence I have. Maybe it’s misguided, a kind of excessive optimism. People who give out a lot of energy must be getting that energy from somewhere. The way I think of those sources of energy is that they are a form of reward. I’m sure one of your energy sources is the response you get from events like the Last Story presentation. There was undoubtedly a lot of pressure on you, but when you saw the audience’s response, I’m sure you got a huge boost. 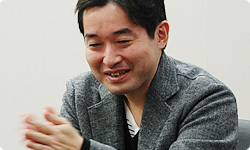 And Takahashi-san, while Xenoblade Chronicles has been out for quite a while now, you must get a real boost from all the players who are still enjoying it and talking about it. No matter how thoroughly you work on something, there are always going to be things that you weren’t able to quite achieve. And then when you end a project, these serve to lead you into the next one. Right. You’ll sometimes hit upon great ideas in the middle of a project that you wouldn’t be able to include unless you had included them from the start. When you’re busy with something, all those disparate ideas you have often start to connect, and it’s easier to hit upon good ones. Well, it’s been a while, hasn’t it? About a decade. I’d like to see how the two of you play off each other. I wonder. After a couple of months, one of us might storm off and that would be the end of that. Or maybe if we could just make it through that initial period, then we’d stick it out right to the end. When we’re on the same wavelength, then we’re really a perfect match. (laughs) But I think that’s why when we were at Square, we both wanted to work on different things, on different wavelengths. You know, if we gave a completely different genre a try, it might end up working well.